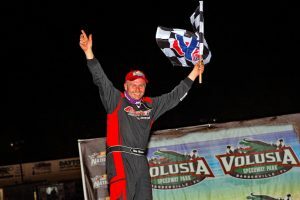 BARBERVILLE, Fla. — Mike Marlar made his third race with K&L Rumley Racing a winning one Monday night as late model competition kicked off during the DIRTcar Nationals at Volusia Speedway Park. 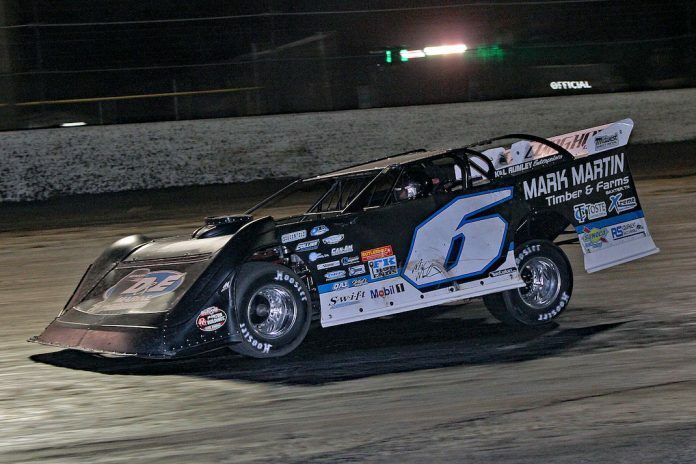 Marlar held off Darrell Lanigan, Josh Richards and Scott Bloomquist in the 30-lap event on the half-mile dirt track. 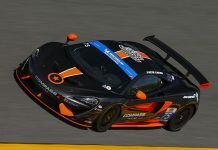 Marlar started third on the grid and took the lead away from Chase Junghans on lap six and held it until just over 10 laps remaining, when Richards powered underneath to take the lead. Marlar would get Richards back, however, as he drilled the cushion with his right rear and stood on the throttle coming out of turn four to complete one of the most aggressive and fearless passes of the night. That proved to be the winning move, as Marlar would not relinquish the spot, giving him a nice $7,000 start to late model week at Volusia. 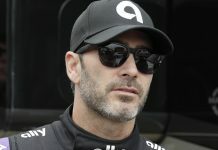 Marlar joined Kevin and Leeroy Rumley’s team in late 2018 as the new driver of their iconic No. 6m, after Marlar’s former car owner Ronnie Delk announced his plans to step down from full-time racing at the conclusion of the World of Outlaws season. But the team didn’t exactly get this impressive of a start straight out of the hauler. 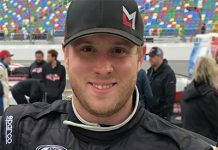 Marlar made a very-welcomed appearance at the World of Outlaws Morton Buildings Late Model Series season opener at Screven Motor Speedway last Friday and Saturday night, but posted only a 25th-place finish after getting into a jingle with Ivedent Lloyd Jr. early on. 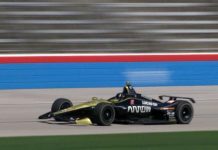 Saturday wasn’t much better – a 22nd-place effort, three laps down. Bloomquist won the second last chance race and romped from 18thto finish third behind Marlar and Lanigan. Around the lap 32-mark, the battle for the runner-up spot was on between Lanigan and Richards, the former and current Clint Bowyer Racing pilots.